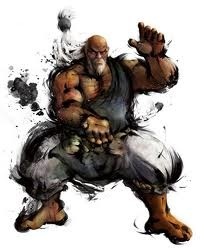 Well, although I never really had to play Gouken in the Streetfighter IV series I chose him because Gouken is an experienced and mighty Martial Arts master who used to teach Ryu, Ken and Dan. 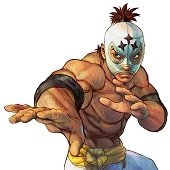 I think one of the reason why I have chosen Gouken is because he is one of the mightiest Characters in the StreetFighter franchise. I hope you do enjoy this great StreetFighter Tribute Project. 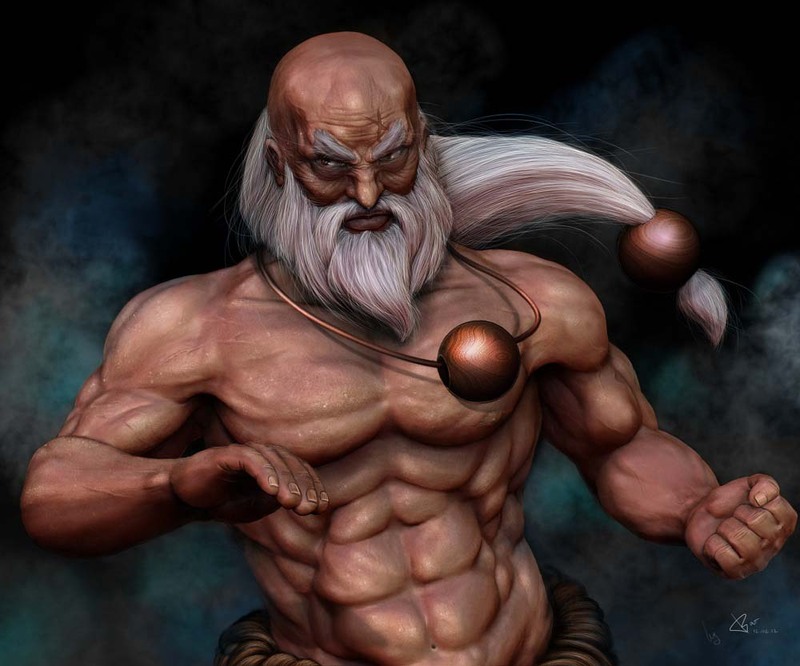 I wanted Gouken to look very fierce and mighty but in the same way as an old (wise … well more or less). The basic Idea was to do a sort of dynamic stance of him and since I do like drawing details I decided to do a more close up perspective of him.